Flag Tire Covers to protect your spare. 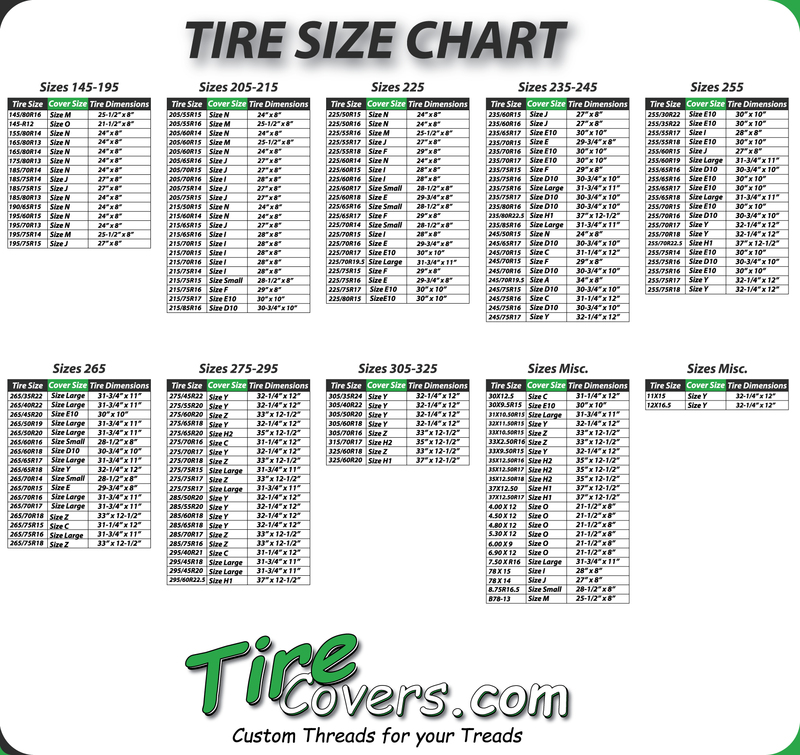 We have all the newest styles to show your support for your heritage on your spare tire. You can't erase history and you can't change the past, but you learn from history and you can celebrate in your own way with these tire covers for your Jeep, SUV, Truck, RV or Boat Trailer. © Tire Covers.com All Images are the property of Tirecovers.com copying, altering, and/or distribution is prohibited.